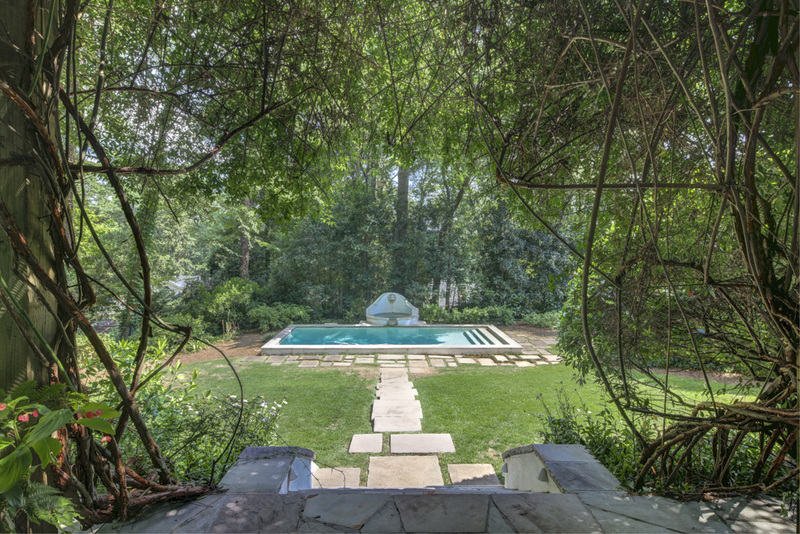 Oasis in the city! 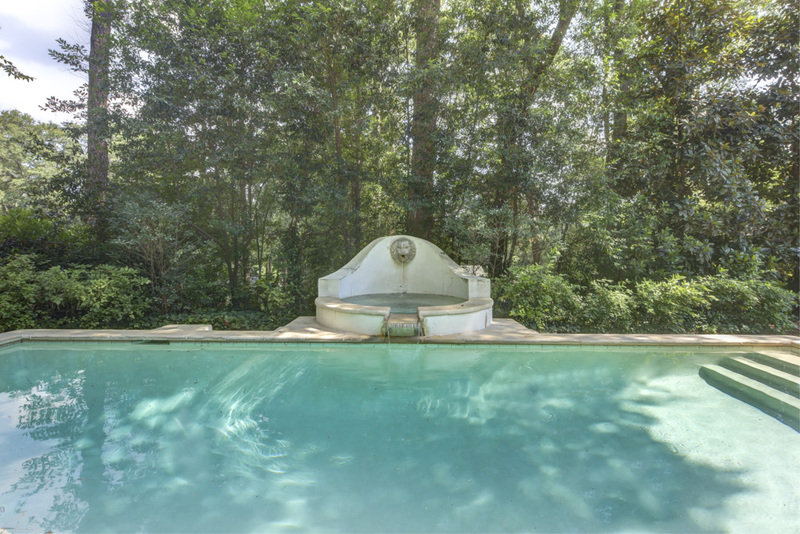 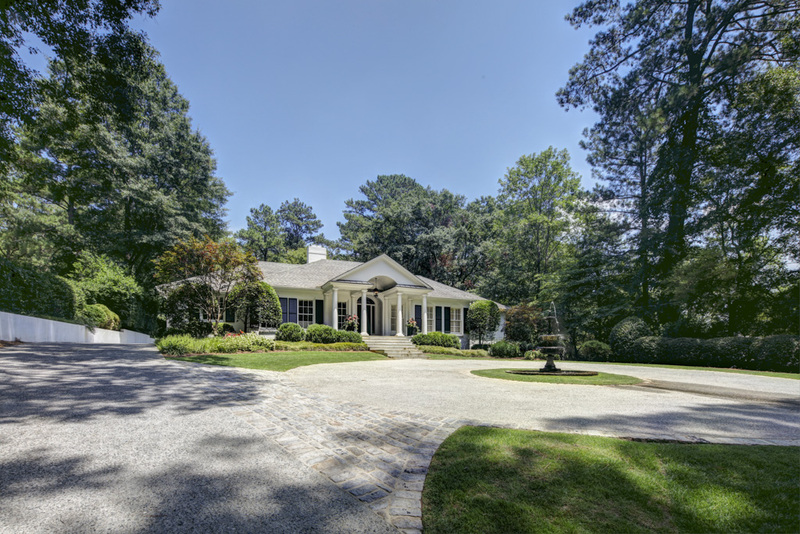 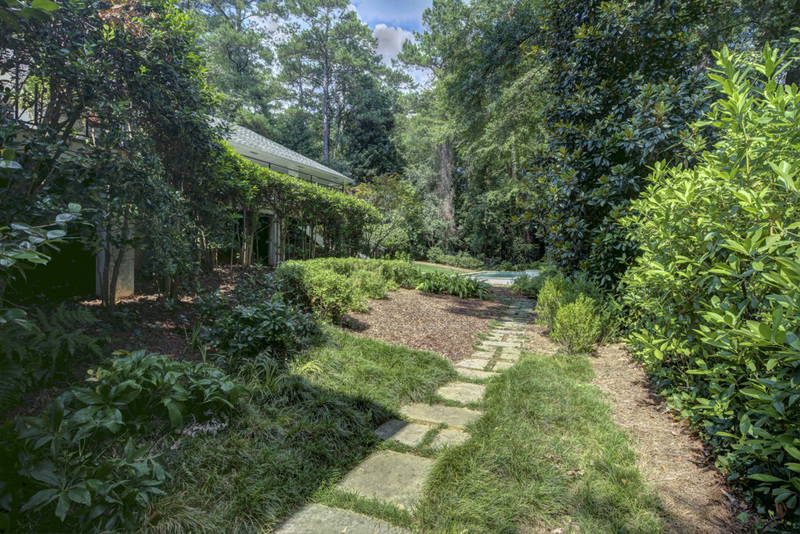 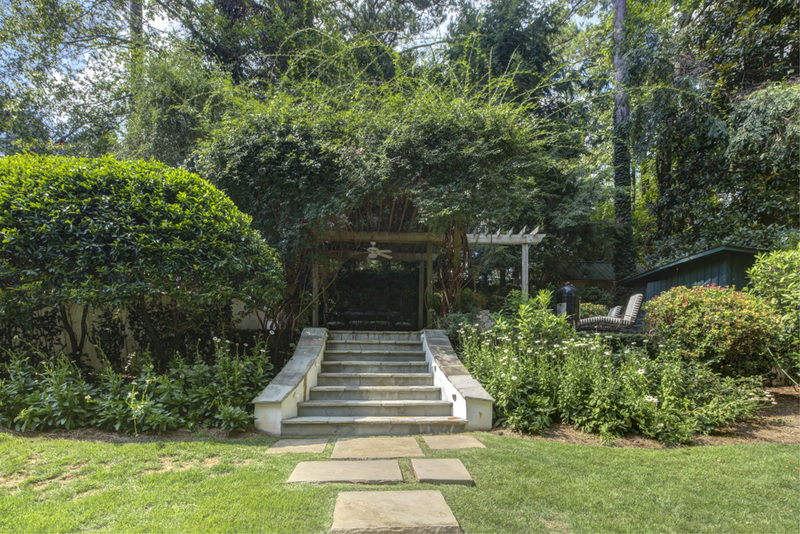 Elegant Buckhead home with master on main on lush, private .80 acre lot with in-ground pool, dining pavilion and outdoor kitchen. 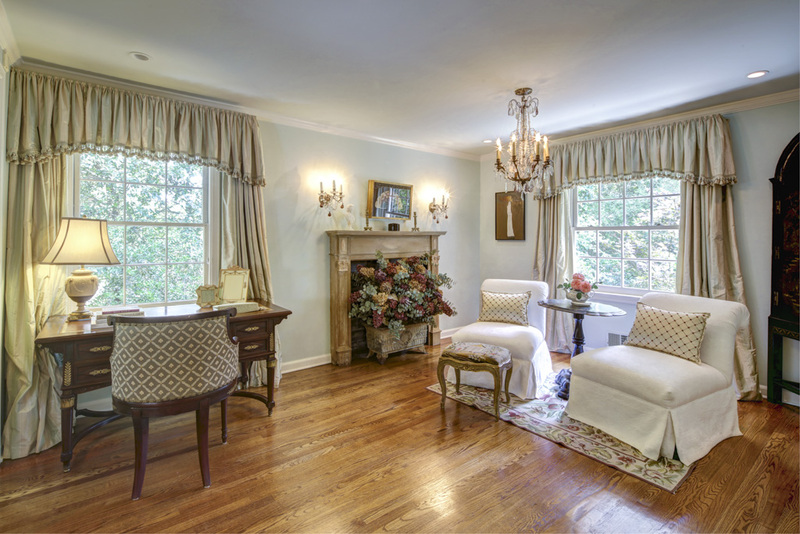 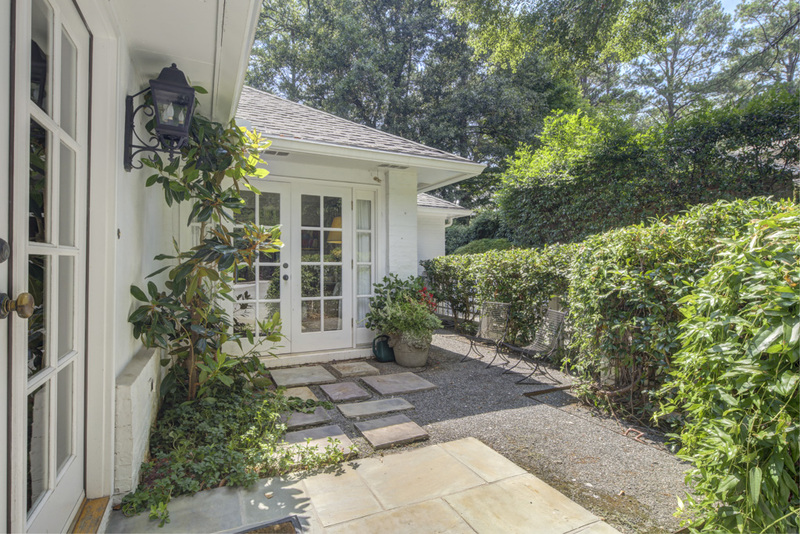 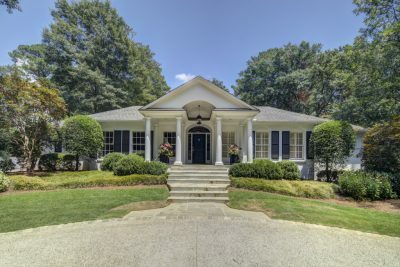 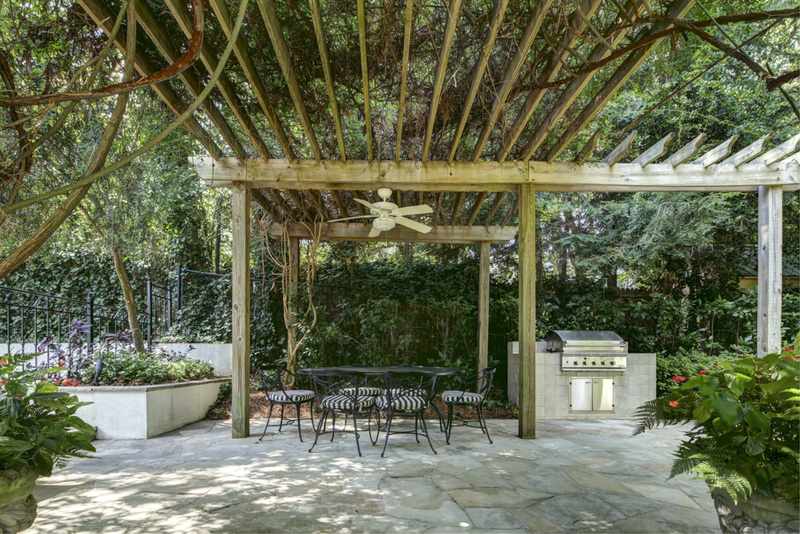 Fine craftsmanship throughout this 3 bedroom, 3 1/2 bath home in sought-after Tuxedo Park in the heart of Buckhead. 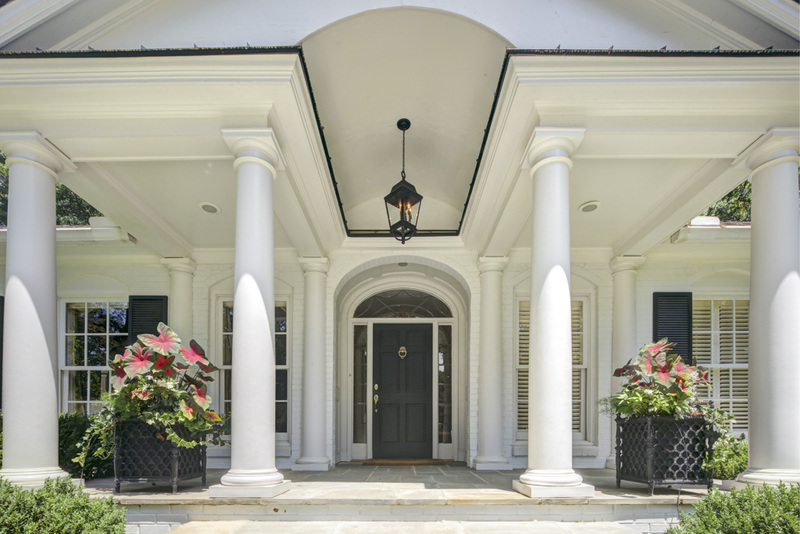 This classic brick home includes a handsome bluestone front porch with four columns and barrel ceiling. 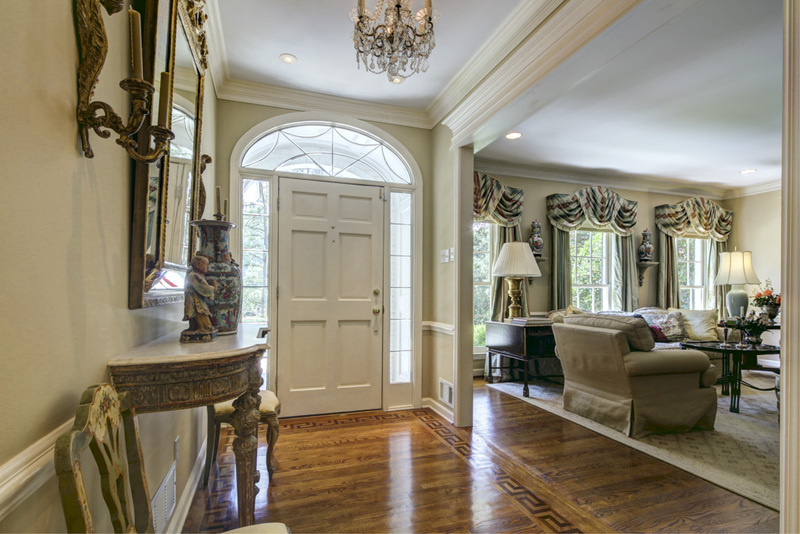 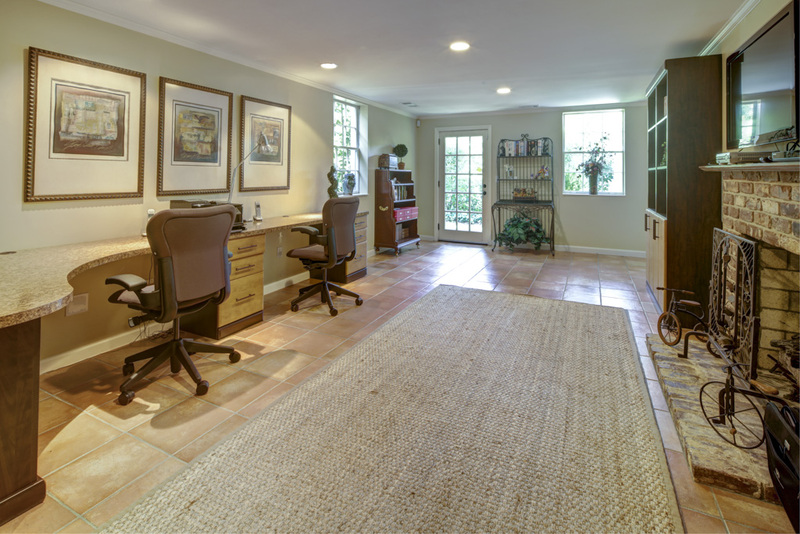 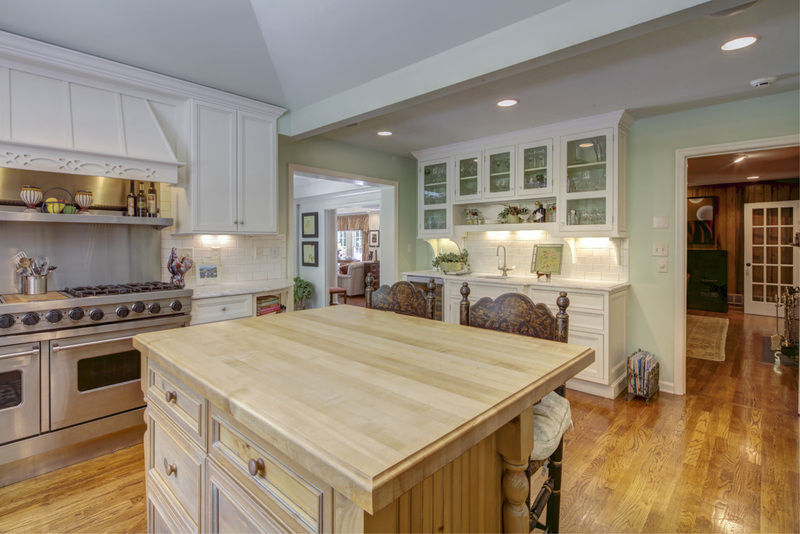 As you enter, you will find the inviting foyer with inlaid hardwood floors. 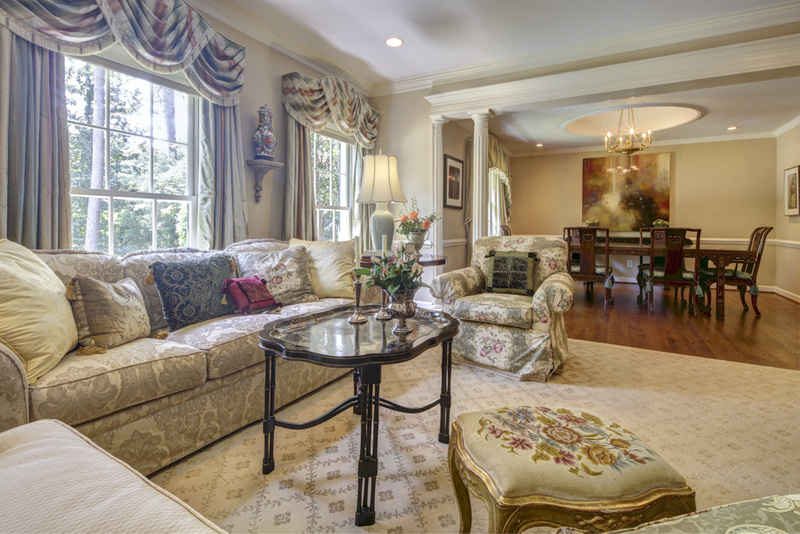 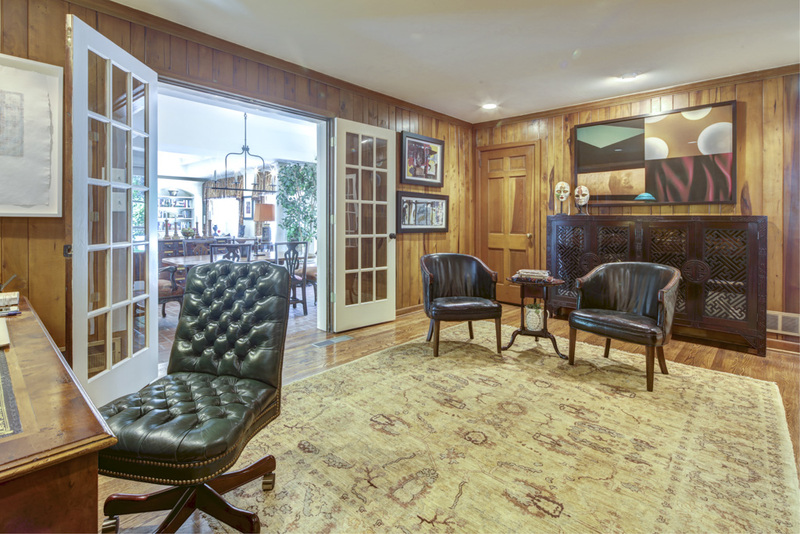 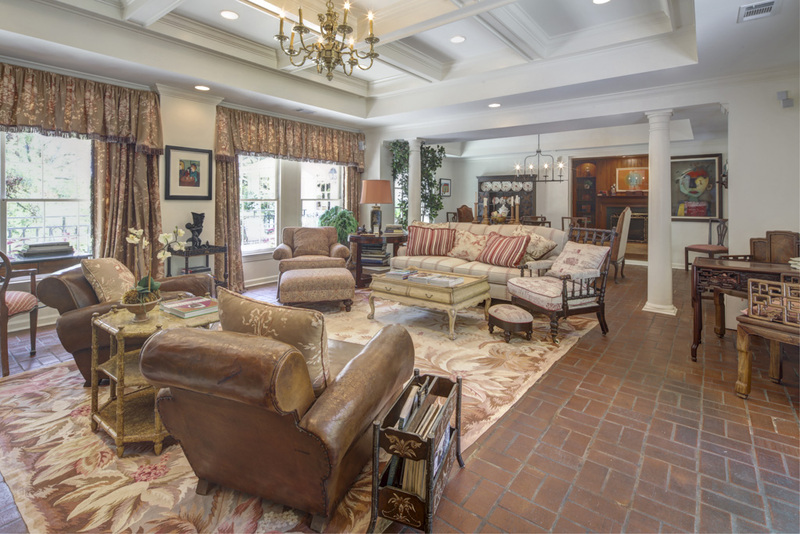 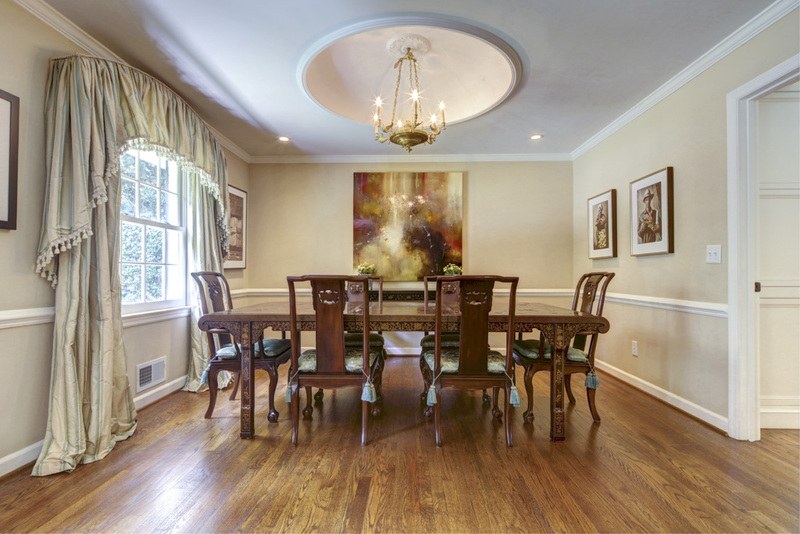 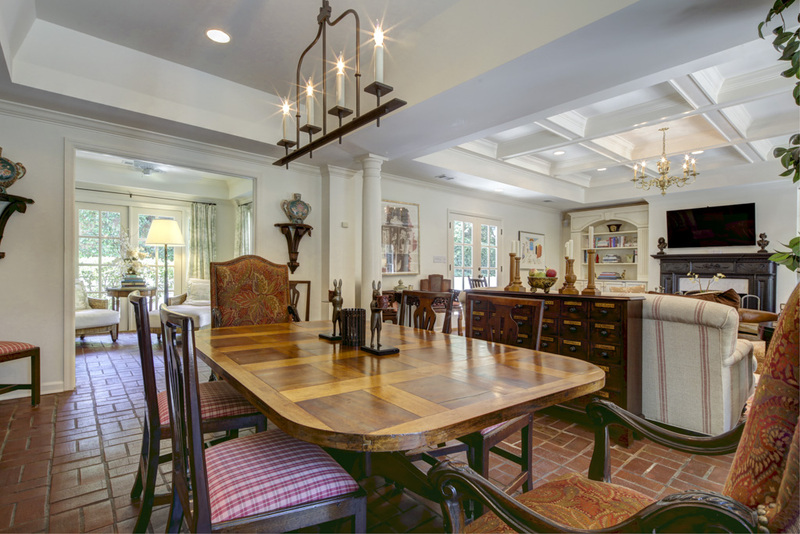 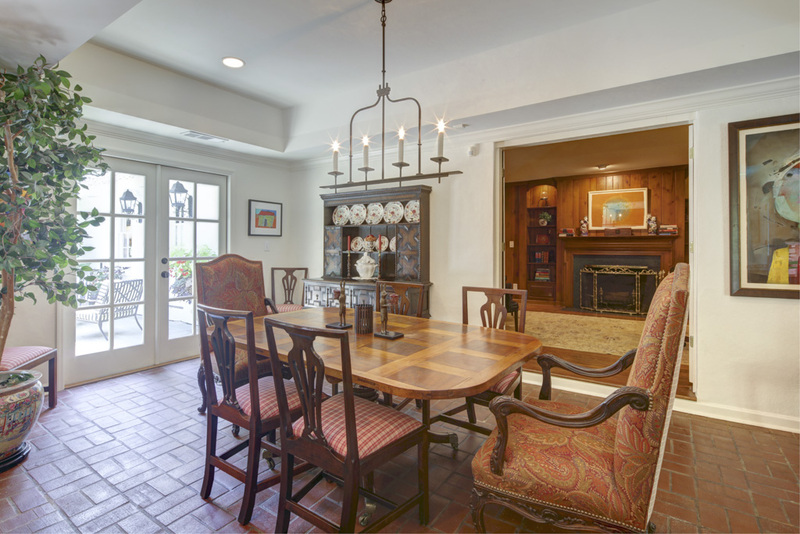 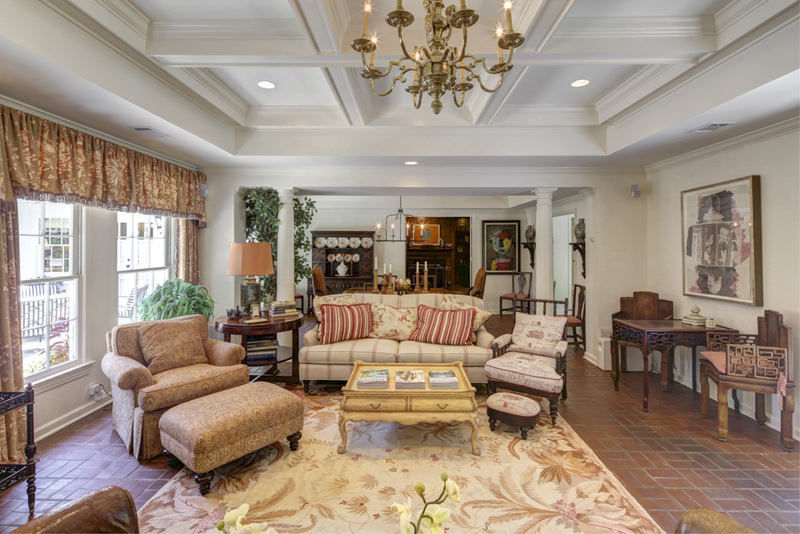 To the left, the large formal living room and dining room, perfect for entertaining. 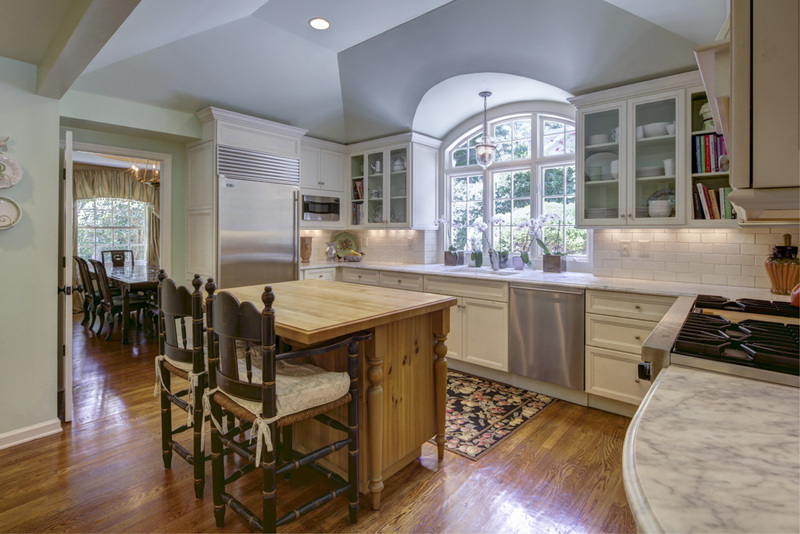 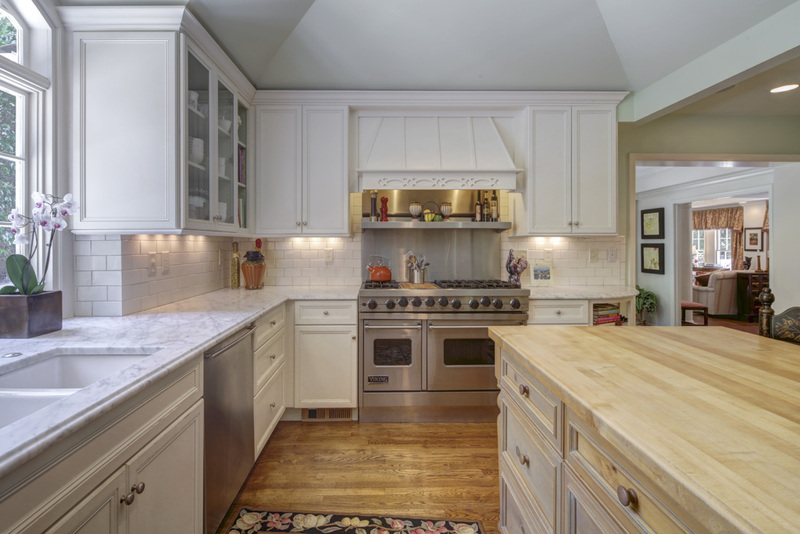 Light-filled chef’s kitchen features vaulted ceiling, marble countertops, island, 36″ stainless SubZero refrigerator, 48″ stainless Viking gas range and wet bar with wine fridge. 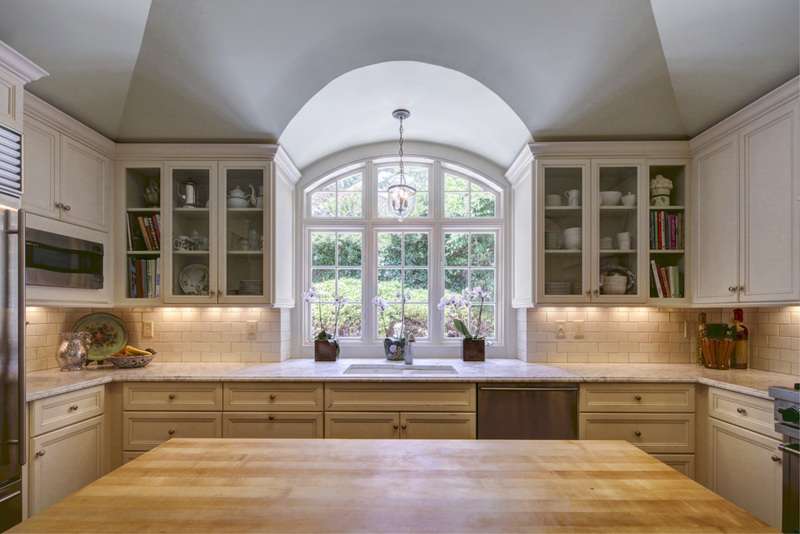 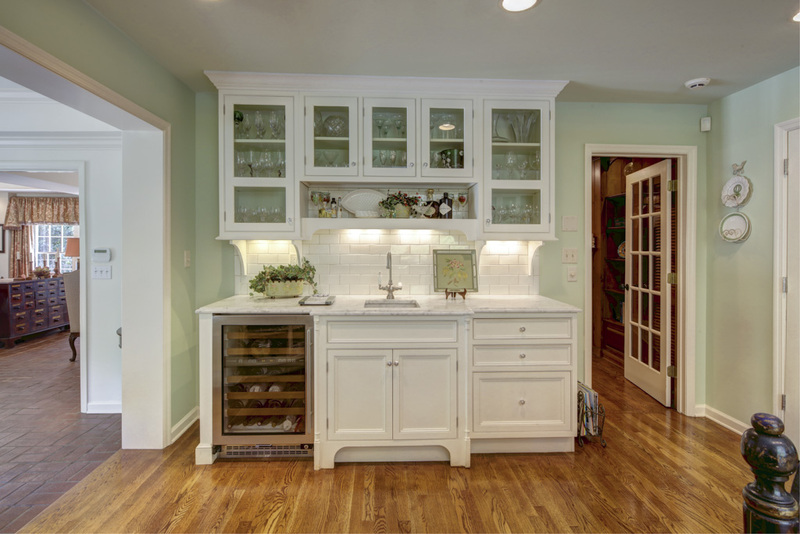 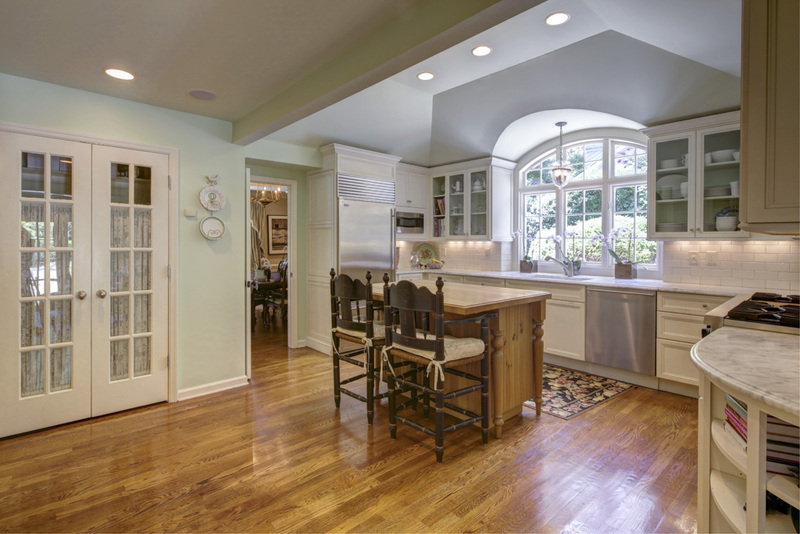 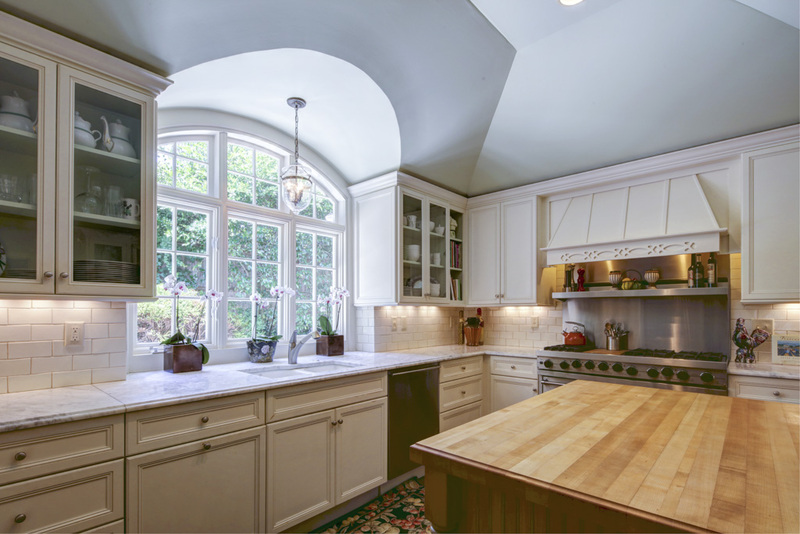 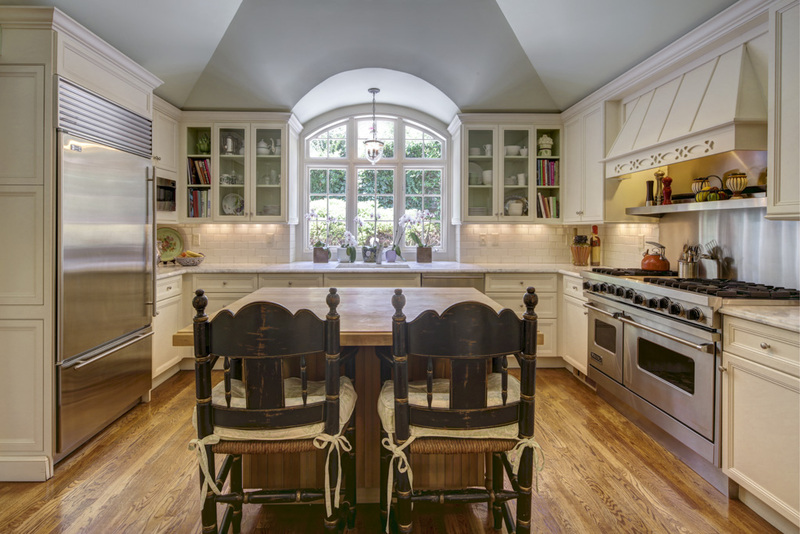 The kitchen opens to a lovely sunroom with trey ceiling and French doors. 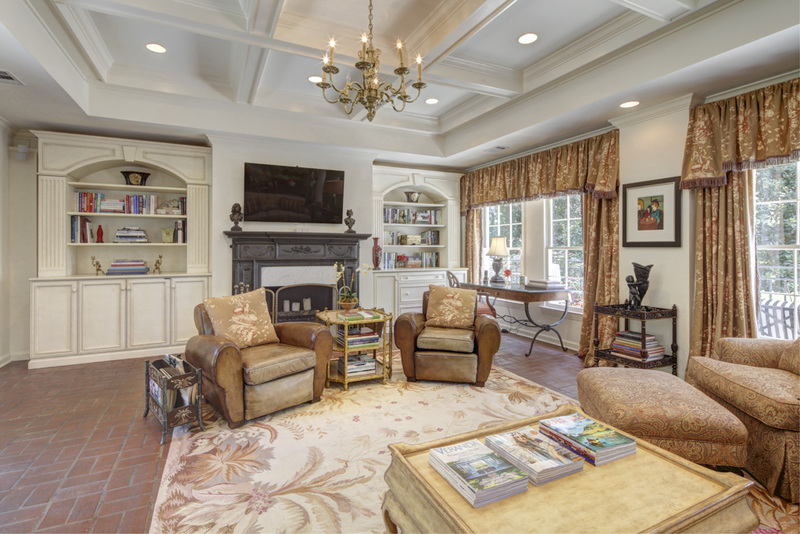 The huge family room includes a coffered ceiling and fireplace flanked by custom built bookcases and opens to breakfast room with trey ceiling. 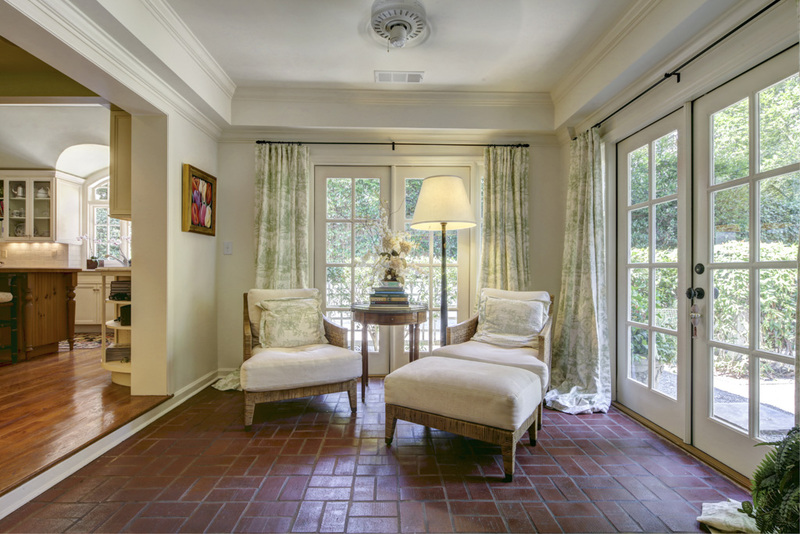 French doors open to large bluestone patio overlooking the private backyard. 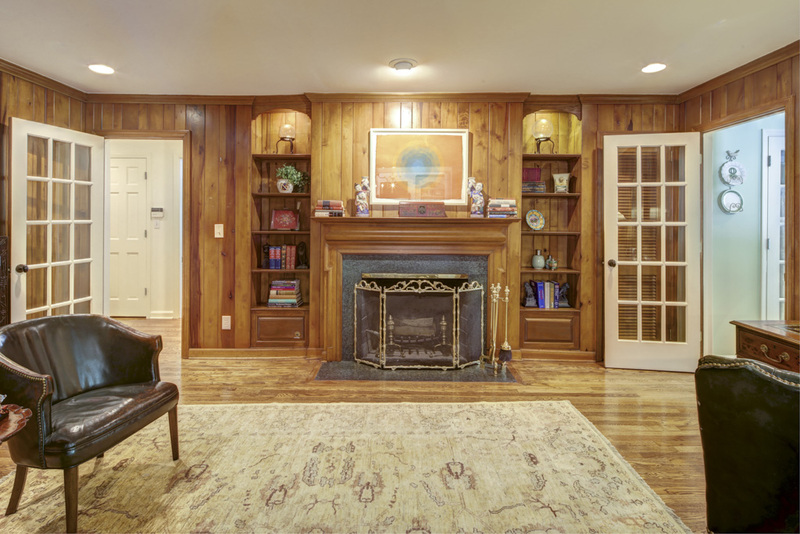 Office/study has rich paneling, fireplace and dual bookshelves. 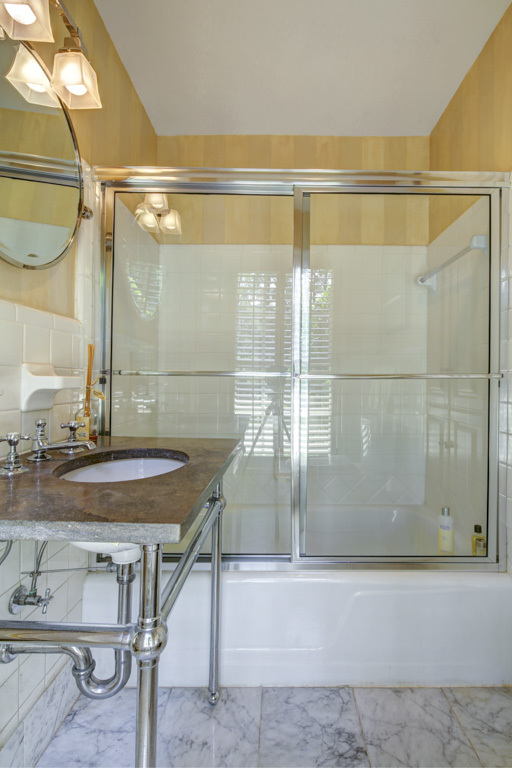 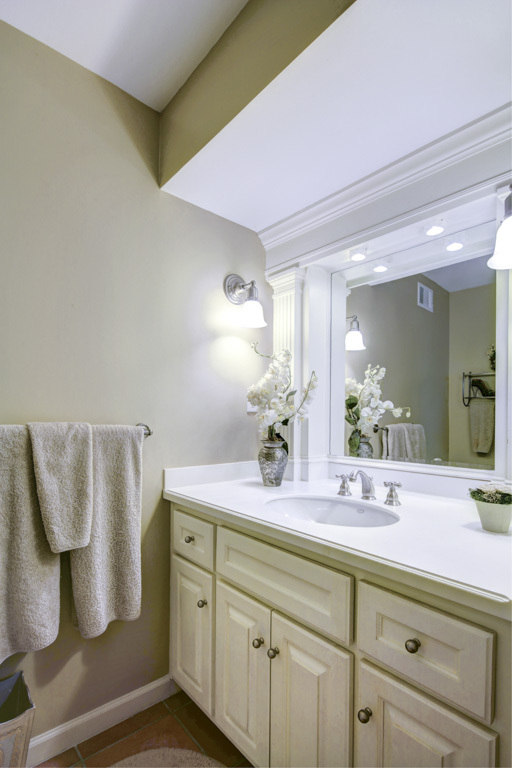 The owner’s suite features hardwood floors, sitting room, his/her closets and private bath with dual sinks, marble countertop and large shower. 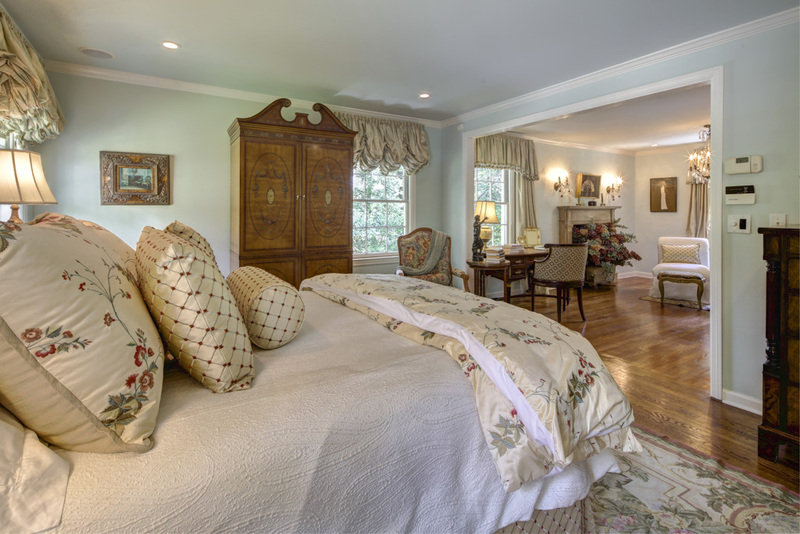 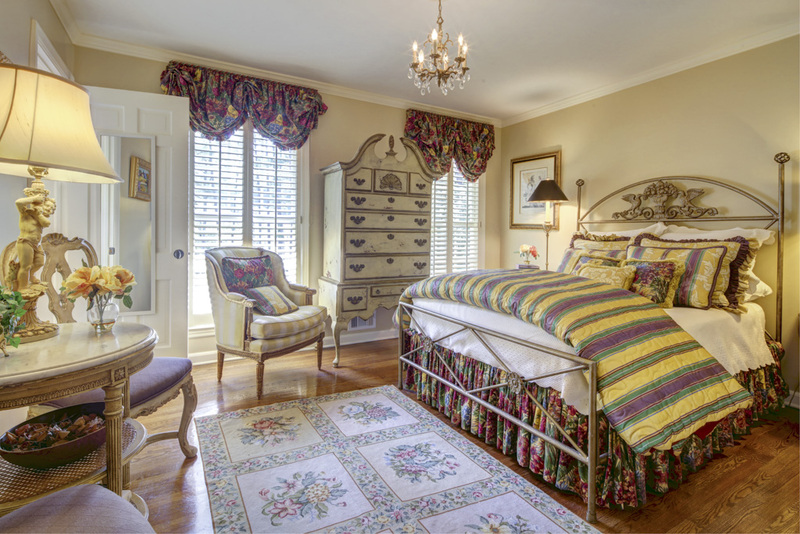 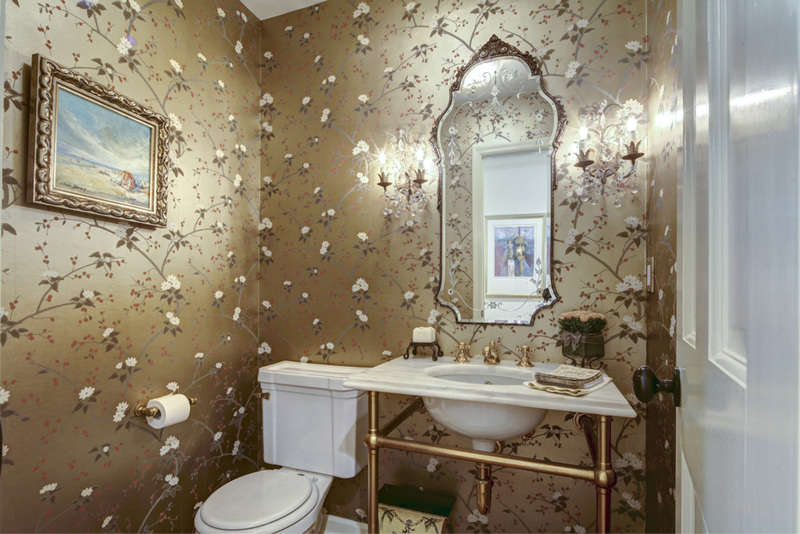 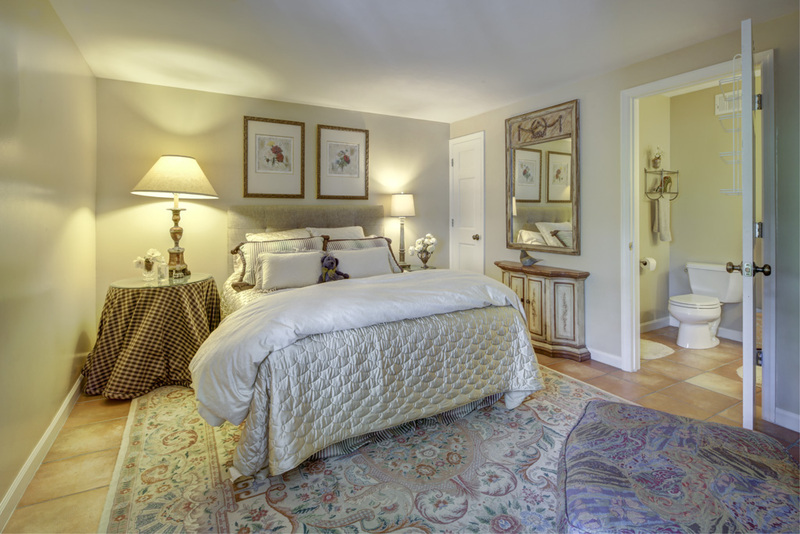 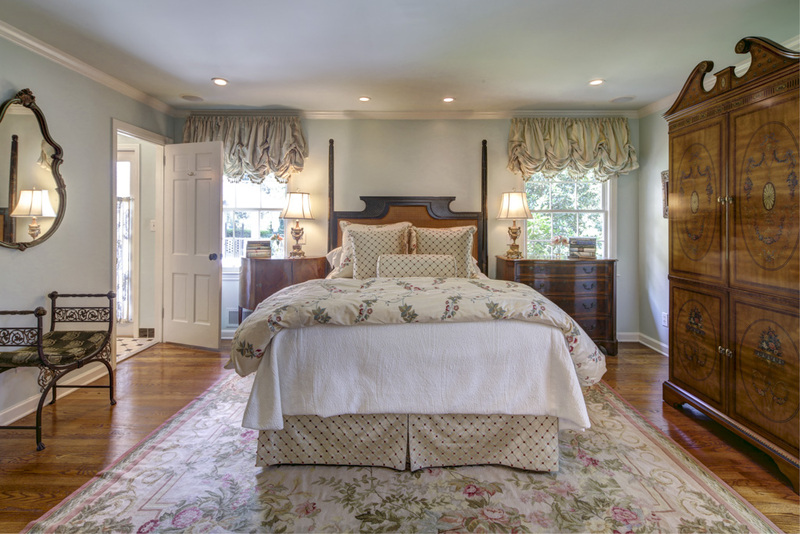 The main level also include large guest bedroom with private bath, powder room and permanent stairs to the attic. 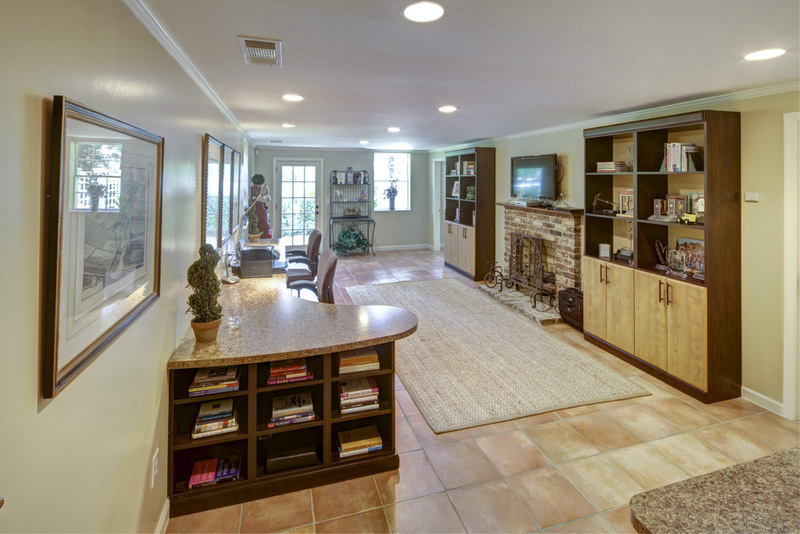 The terrace level features game room/media room, guest bedroom with full bath and laundry room. 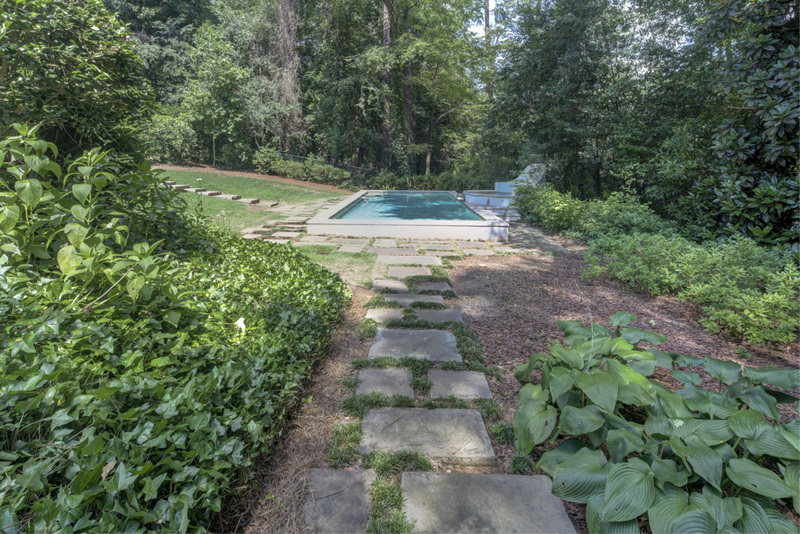 A nature lover’s paradise, this private estate is surrounded by a canopy of trees and has an in-ground heated pool and spa, dining pavilion and outdoor kitchen. 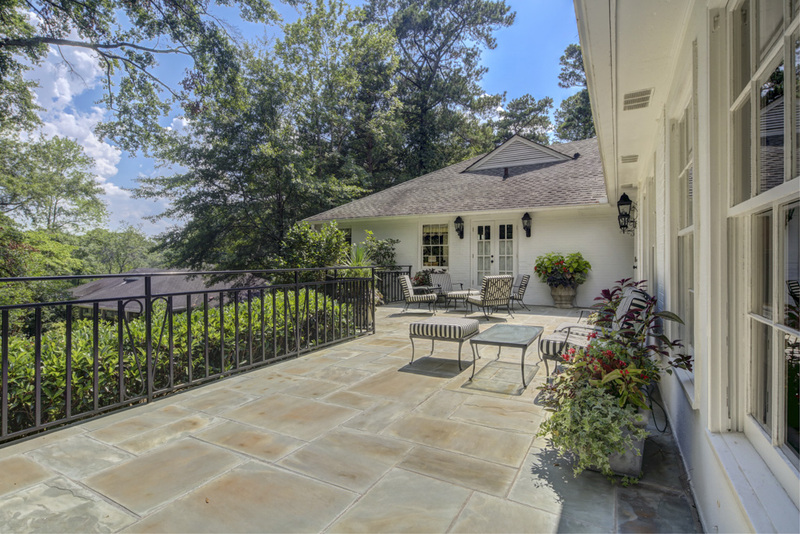 Enjoy the best restaurants in Buckhead including Blue Ridge Grill, Yebo Beach Haus, Chops Lobster Bar, Umi, Atlas, Portofino and more. Just 1 1/2 miles to Chastain Park and 2 1/2 miles to Cherokee Town Club! 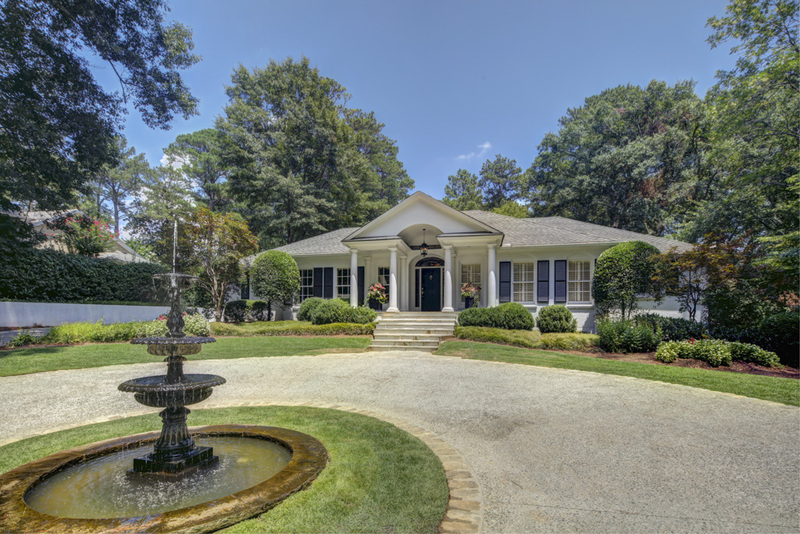 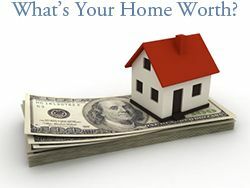 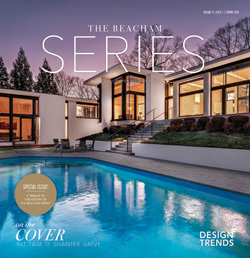 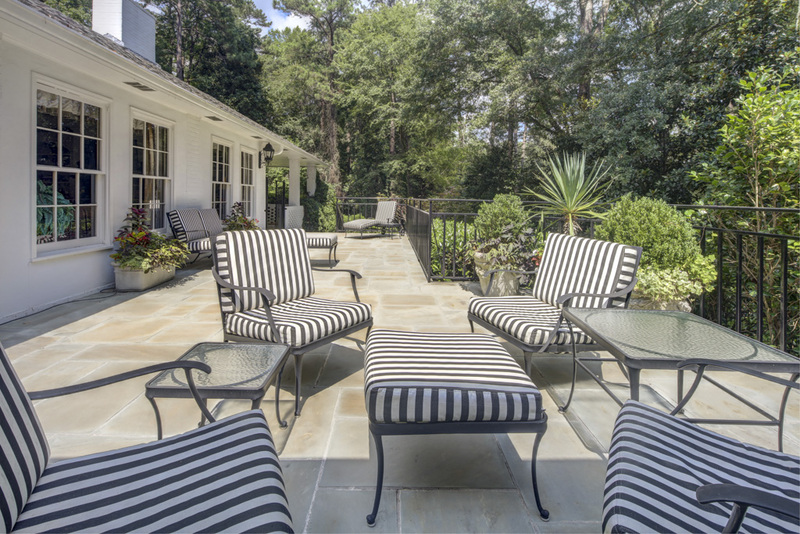 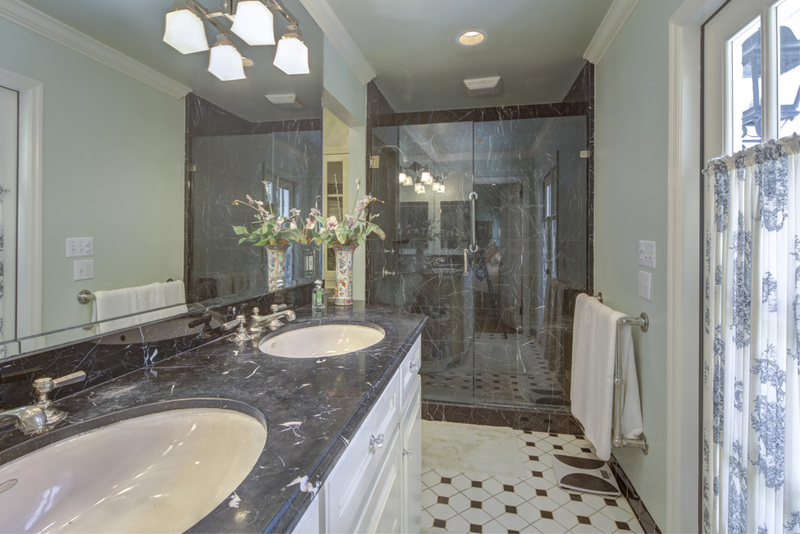 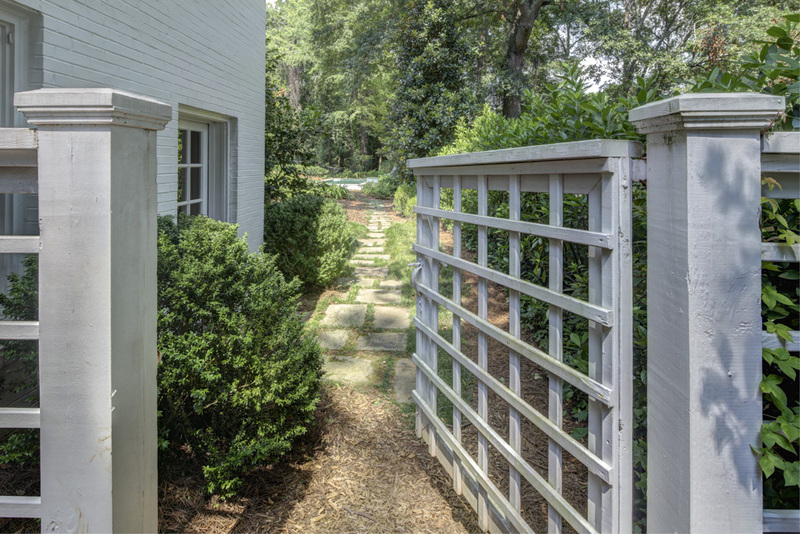 Learn more about Buckhead and see Buckhead homes for sale.